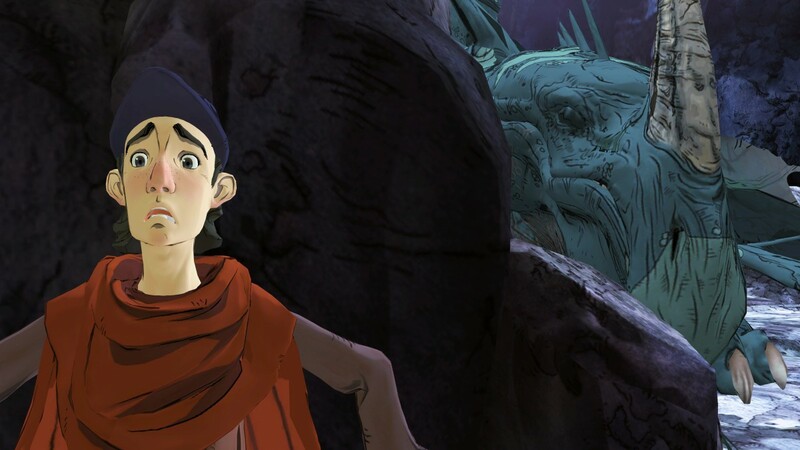 REVIEW - King's Quest: A Knight To Remember - Use a Potion! The modern generation of gaming has been filled with reboots or remasters of classic games. We’ve seen Playstation 2 games remastered with HD editions, classic first person shooters rebooted and brought back to popularity or even games that we’ve not seen in nearly twenty years finally getting that unexpected sequel. King’s Quest: A Knight To Remember falls into the latter category – the revival of the classic adventure game series from the golden age back in the 80s and 90s. Of course, this isn’t a sequel as much as it is a reboot – or even resurrection. King’s Quest: A Knight To Remember is the first chapter in the re-telling of the original hero of ‘King’s Quest’, Graham, and his rise from being an aspiring knight to eventually ruling the land of Daventry as King. It’s the classic formula which has worked previously in the series, but now is being re-told by new developers The Odd Gentlemen. The story’s opening features a classic King’s Quest item – a magic mirror. Fans of the series will appreciate the throwback – the mirror has been featured in nearly every title in the series since its inception. Except, The Odd Gentlemen don’t leave it at that. Instead, this is a re-telling of the classic quest from the original King’s Quest game that has you recovering the magic mirror from the clutches of a green fire breathing dragon! Even the way you make your way down to the dragon’s chamber is spot on as you traverse down a well. It’s true fan service and what I believe was the perfect way to open the game. From there on the story takes a step further back, the game telling the tale of how Graham had to compete against four other knights to become a knight of Daventry. Everything is worked together in a clever way with the story – it’s actually the (now) King Graham telling the tales from his youth to his Granddaughter, Gwendolyn. This helps the narrative in many ways – be it Graham’s exaggeration of his exploits, Gwendolyn’s constant questioning of his actions or the way in which the many deaths you can encounter in the game are explained to her as what COULD have happened. It’s effective in keeping the story going whilst also maintaining the humour. I think that Graham’s puns deserve an honourable mention too – even Gwendolyn warms to them by the end of the game. 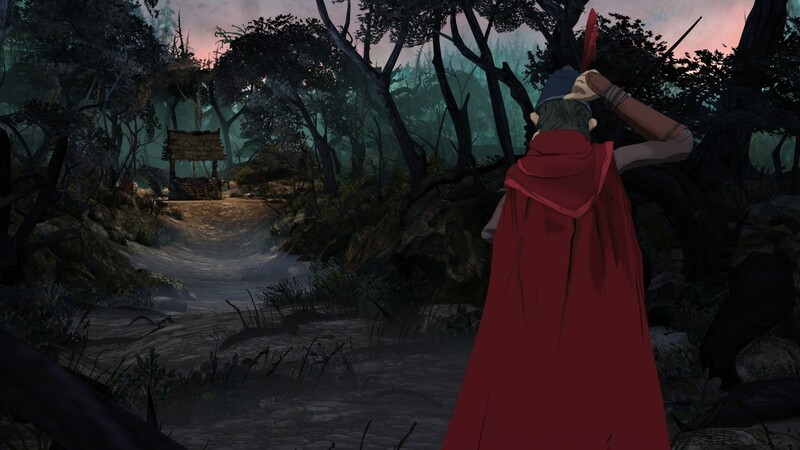 King’s Quest: A Knight To Remember really deserves a lot of credit for it’s storytelling. The characters you meet in the game are all really likable and each have their own unique, distinct personality. Everyone offers something different to bring to the narrative. I was a particularly big fan of your knight rivals Whisper and especially Achaka – even the language barrier doesn’t stop you from enjoying any scene shared with him. It’s also a very funny game – I’m not often left laughing out loud at a videogame but the writing here received a few genuine laughs from me. Besides humour there are a few more mixed emotions through the game, with some moments genuinely tugging at your heart strings. It’s all a testament to the great job that The Odd Gentlemen have done with the game and crafting it’s brilliant script. 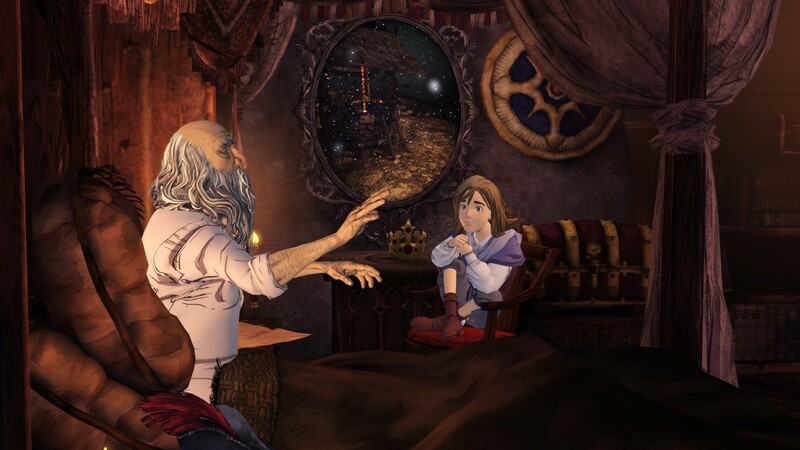 Of course, a text heavy game such as Kings Quest: A Knight To Remember relies heavily on the voice work of the characters if the story is really going to engage players. Thankfully it’s another area where the game excels. All the voice acting is delivered perfectly, the actors working with great synchronicity together and becoming fully involved in their roles. You wouldn’t expect any less though from a group of voice acting talent that includes the incredible Christopher Lloyd and Wallace Shawn. The score of the game is also beautifully crafted and always fits in perfectly with the tone of the game – be it the ominous tunes as you creep through the dark forests or the peaceful, medieval style music as you adventure through Daventry. 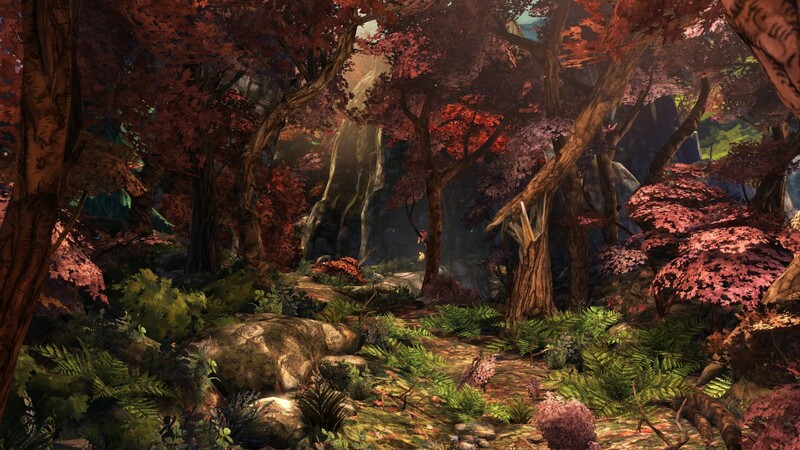 Graphically King’s Quest: A Knight To Remember is aesthetically pleasing – the game is simply beautiful. Visuals are very Disneyesque with Daventry looking beautiful, the hand drawn backgrounds standing out with flora and fauna really bringing the world to life. Falling foliage surround you as you progress too – there’s so many tiny details that make Daventry a real treat to explore. Character models really shine too with their cartoony 3D style. They don’t hold the same detail as the backgrounds in the world, although slightly different styles compliment each other. Characters are well designed from the different styles of knights, the gross yet approachable bridge trolls or just simply Graham himself – The Odd Gentlemen have done a great job creating a lively cast. Despite King’s Quest: A Knight To Remember excelling in story, sound and graphics the most important area that an adventure game needs to shine is with the gameplay. Fortunately this is where the game is truly at its best. The primary objective of the game is solving the many puzzles that hinder Graham’s progress. You’ll come across a few simple ones along the way that won’t challenge you too much, but then there are a few that will even leave adventure game veterans scratching their head. The beauty of the puzzles though is that there’s always a logical solution – a solution that has you kicking yourself that you didn’t think of it straight away. Of course, if you don’t want to use logic the game allows you to use the tried and tested method of trying every item in your inventory with each intractable object – even if the game will poke fun at you for doing so. Some puzzles have multiple methods on solving them, some that may leave consequences for the future chapters of the game. Do you let the dragon live? Do you allow the bees to ruin the romantic picnic? We won’t know how, or even if, these decisions will affect the game in the future – only time will tell. The different methods do add replayability to the game, although I can’t see the differences making a massive change. Overall the puzzles are very approachable even if you don’t have much experience with adventure games. The puzzles of yesteryear seemed a lot more difficult, at times they were very cryptic. This time around they are a lot more accessible – it’s more appealing to a wider range of players, but veterans may find themselves craving a little more. The gameplay is broken up with some first person shooting segments along with QTEs. 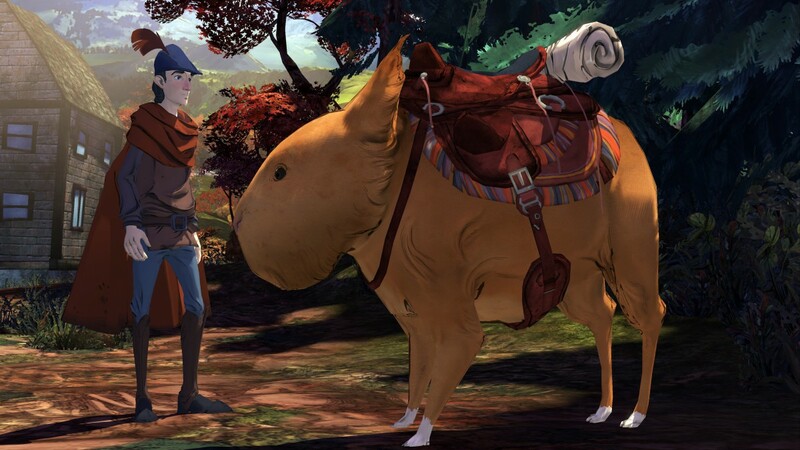 While these are all the more common in games these days, their appearance is very welcomed in King’s Quest: A Knight To Remember. Some situations simply can’t be solved with a puzzle and require a bit of action. It’s a step away from the classic formula but it works – The Odd Gentlemen have evolved the classic gameplay and its very beneficial. I’d be remiss not to mention a few of the game’s flaws. There’s no option to skip conversations or observations you’ve previously made. It’s not a big deal, but can be frustrating when you’re trying to work out the solution to a puzzle. Load screens can be a bit of a pain too – they’re infrequent but when your constantly moving from screen to screen solving puzzles they can be a bit annoying, especially when you consider that a lot of modern game worlds are traversed seamlessly. A manual save option would have been nice too rather than the auto-save option. These flaws are all easily overlooked though – it’s small nuisances that take nothing away from the gameplay.